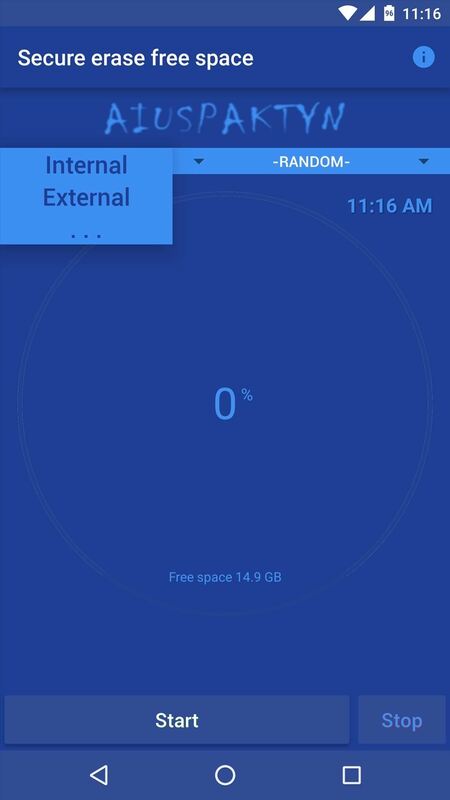 When you delete a file, Android doesn't actually remove it from your storage drive—instead, it simply marks that space as empty and pretends the file doesn't exist anymore. But deep down inside, the file that you originally wrote to that location is still physically there, at least until you randomly happen to save another file on top of that same spot. This is how apps like Undeleter are able to recover deleted files, and it's how government agencies are able to pull data off of wiped hard drives. It's an obvious security risk, so developer Giuseppe Romano stepped in with an app that will plug up this loophole. 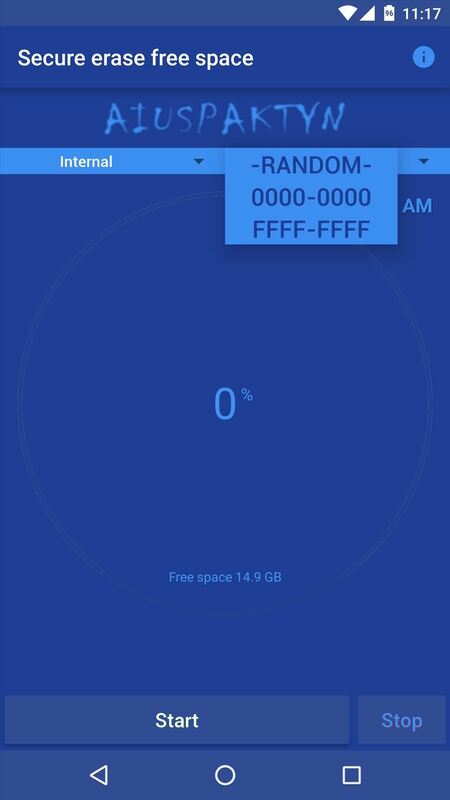 The app works by overwriting empty space on your storage drive with random bits of data, then deleting the end product. As a result, any files you've previously deleted will be permanently erased, making it virtually impossible for anyone to recover the data. Before you can permanently erase your deleted files, there's a bit of prep work you'll need to do. For starters, tap the drop-down menu near the top-left corner of the screen and choose whether you'd like to erase deleted files on your internal storage or external storage. If you're using an SD card, set this to "External"—otherwise, leave it set to "Internal." From here, the drop-down menu on the right allows you to choose what kind of random data will be written to the empty space on your storage drive. For best results, I'd recommend leaving this set to "Random." When you've got that part taken care of, go ahead and tap the "Start" button near the bottom of the screen to begin erasing your deleted files. From here, Secure Eraser will overwrite any empty space with random data to get rid of your old deleted files. As a result, you'll notice that the available storage space being reported starts to shrink. But don't worry—Secure Eraser will delete this random data when it's done, and your available space will jump right back up. This process can take quite a while, so try doing this whenever you don't need your phone/tablet for a bit. For instance, it took about thirty minutes to fully clean 15 GB of empty space on my test run. 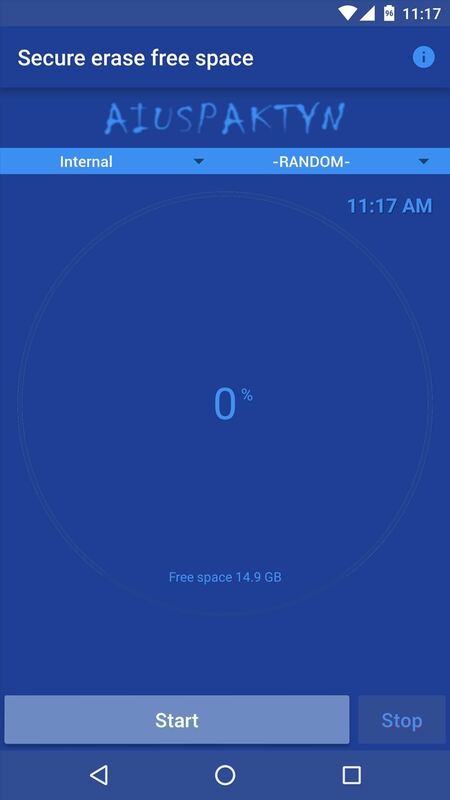 Total time will vary depending on the amount of available space on your device, but when it's done, you can rest assured that all of your deleted files are gone for good. If you want to completely delete a file, you'd have to write /dev/random 3 times on it, then /dev/zero 5 times. The fact that this app uses only 30 minutes to fully clean 15 GB tells me an agency can recover it anyway. Even strong computers would take at least 3 hours to fully delete 15 GB. The question here is how likely it is that the NSA is going to 'undelete' apps on your phone. By the way, it's not just Android that does it this way, all computers just flag the space as unused when deleting a file. Yeah you want to run at least 7 wipes or more. I have tried 3 times, and some data is recoverable, but not all. Perhaps this is a silly question but I've always been told "No question is stupid, or silly, and it's good to ask questions". With that said, I would think if all files I have deleted are still somewhere on my device they are taking up space. 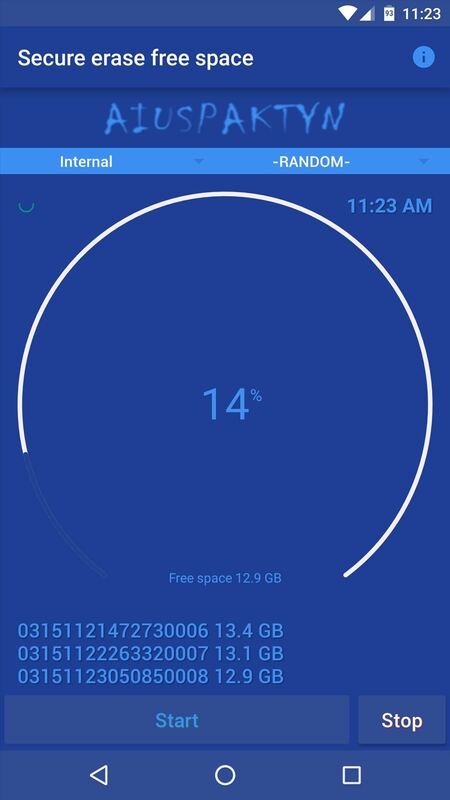 Does anyone know if this app tells you how much space, and/or how many files, will be erased prior to clicking start so you know how much space you will be freeing up? Or, does this not apply..for some reason? I don't think it does, by the looks of it. The bytes for your deleted files may still exist (until overwritten by new files), but they'll exist in a space the file index has flagged as free... So no, you won't get any extra space by permanently deleting your already deleted files. I thought he was going to take the drive out and rub it with an eraser. Or walk across a carpet with it. Best not to run something like this too often as flash memory, like the storage your phone uses, has limited writes before it starts to slow down. I'm seeing recommendations to first encrypt (that's one change for each bit max), then randomize 3 times (3 more changes) and then 3 clears (3 more). Typical flash or EEPROM (they're not gonna invent a new kind just for phones) allow minimum 10,000 (usually 100,000) overwrites till death. 7 isn't going to change anything. I'll add that, if the idea is that the memory gets block written so that each bit gets overwritten 8 x blockwidth x 7 times, then yep that could wear it out fast, but if that were the case the phone would be dead in a week of normal use. I'm very sure that the flash/eeprom in a phone isn't block written unless that's done as a special mode of the memory device (or unit in case it's in an ASIC), and the software tells it to do that because it knows that the sort of overwrite it's doing is rare. Wouldn't it be easier to just take videos or pics until the memory is filled, and then just delete them. Then the only thing that will be recoverable are files you don't care about. Am I missing something here?